One of the funny things about Jesus’ post-resurrection appearances in the earliest of the four Gospels, Mark, is that there aren’t any. 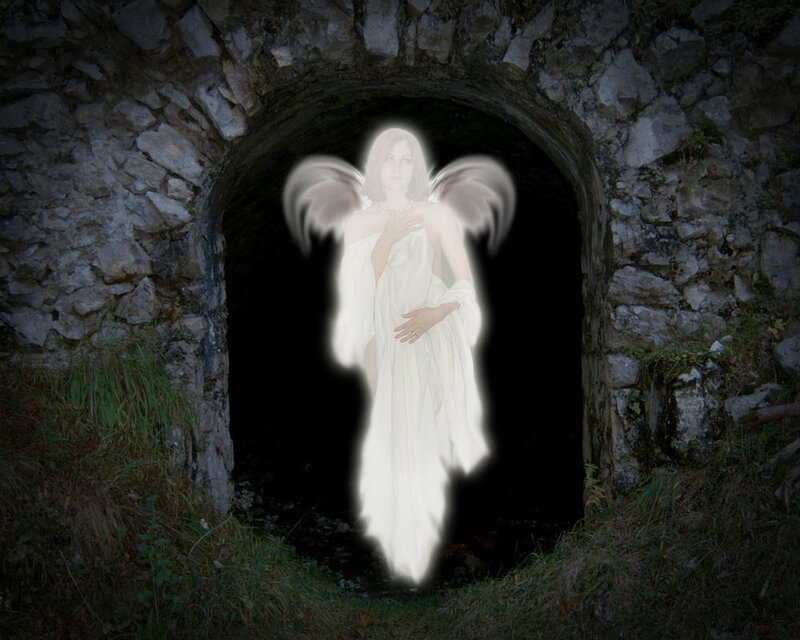 Instead, what we read in Mark’s account of what happened after Jesus’ resurrection (Mark 16.1-8) is that a group of women find Jesus’ tomb already empty when they arrive there, an angel (described as a young man in a white robe) tells them that Jesus has risen, and then, suddenly, there is an abrupt ending which informs us that the women told nobody about their remarkable experience. The allegedly risen Jesus, despite being the hero of Mark’s story, fails to even make an appearance in it. A much later redactor tries to fix this awkward state of affairs by adding a more rounded ending (Mark 16.9-20) – but this longer ending is evidently derived at a later, secondary stage of development. For it includes elements from both Matthew and Luke, does not appear in the better, more reliable manuscripts, and is even marked as a later tradition in some manuscripts. So there is a serious problem: why does the Gospel of Mark finish so abruptly at chapter 16 verse 8? Scholars have provided no end of speculative reasons for Mark’s “missing ending”; there is nothing like a complete absence of evidence to stimulate creative scholarly suggestions. Scholars ask: was this ending intended or unintended? If intended, for what scheme or purpose? If unintended, has the ending been lost or deliberately truncated? If deliberate, what would be the purpose in truncating Mark’s gospel? In turn, a plethora of scholarly answers has been offered for each question. In particular, a number of recent “literary” approaches have considered that the present ending of Mark 16.8 evidences such literary artistry and fearful symmetry, that we should recognise in the ending of this Gospel either an author whose talents rivalled Shakespeare’s own or the hand of God Almighty… or possibly both. According to Casey, the whole of the Gospel of Mark is incomplete, a "first draft"
Yet instead of positing a missing ending, Casey offers a creative and indeed radical solution, proposing that the ending was never in fact written, because the Gospel as a whole is unfinished. For Casey, it is not merely the case that the author did not finish his Gospel – more radically, none of it was ever in a complete state. 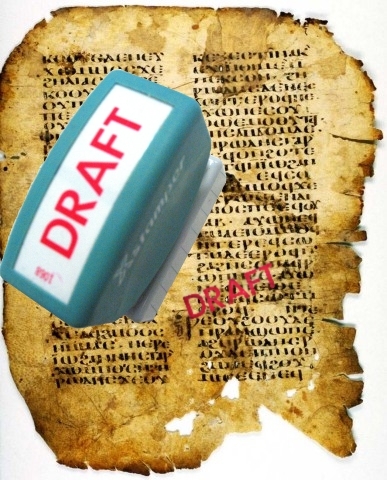 What we know as the Gospel of Mark should therefore, according to Casey, be regarded as “a first draft” (p. 76), a hypothesis which explains both the extensive mistakes which the Gospel contains as well as the frequent attempts of copyists to emend the text, and even its adaptation and development by Matthew and Luke. For example, Casey notes Mark’s purported quotation of “Isaiah” in Mark 1.2, which instead begins with Malachi 3.1 before proceeding to Isaiah 40.3. For Casey this is a mistake of someone who didn’t ever get to correct his mistakes (instead, it is corrected by both Matthew and Luke). Although Casey’s proposal is worth much further consideration, I do not know if it is more persuasive than the immediate alternative: that Mark simply made a lot of mistakes. This alternative seems more attractive when we consider, as Casey does, that “Mark was not an author like Plutarch or Suetonius, well educated, experienced and writing another life of Someone Famous” (p. 77). A further point against Casey’s proposal is that, if the whole of Mark’s Gospel were incomplete, i.e. in “draft form”, it would be hard to explain why the earlier parts of Mark present a complete narrative, and don’t seem to have the sorts of abrupt lacunae that we find only at the end of the Gospel. In particular, Mark 14-16, which narrates Jesus’ last week and the empty tomb story, is particularly tightly narrated – and many would conclude that this is due to Mark’s own contribution as narrator here (working I think with received traditions) – which makes the absence of any prediction-and-fulfilment between Mark 14.27-28 and the ending of Mark look more like an exception than the rule of a “work in draft”. These latter two factors, I think, tips the balance of explanation toward the Gospel being a final version rather than a “draft”. However, Casey’s argument regarding the predicted appearance of Jesus in Galilee and the missing fulfilment of that prediction does not allow us to accept the recent “literary” approaches to the text, which ironically seem to have neglected one of the most prominent literary features about the Gospel of Mark: it hasn’t got an ending. 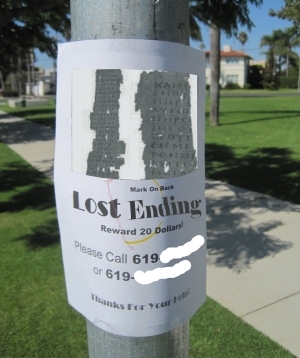 So Mark’s missing ending remains a scholarly mysterion. Yet if we return to consider some of Casey’s other observations, discussed earlier, there may still be a more plausible solution. Casey argues, inter alia, that (1) 1 Corinthians 15 does not know of any “empty tomb story” but only of visionary appearances of Jesus who appears from Heaven; (2) Mark does not narrate the story of Jesus’ two-stage resurrection, from Grave to Earth and then from Earth to Heaven (which is narrated first only in Matthew, Luke, and John); and (3) Mark intended to compose a Gospel which featured at least one resurrection appearance at Galilee. Given the trajectory in the development of the post-resurrection traditions, from heavenly to earthly appearances, it is reasonable to posit that Mark, the earliest Gospel, also originally narrated a heavenly appearance of Jesus at Galilee. That is, we should expect that Mark’s missing ending would also have narrated that Jesus appeared in his glorified, heavenly state, in Galilee, an appearance experienced by his Galilean disciples in a genuine, historical visionary experience. In contrast to Mark’s heavenly manifestation of Jesus, Matthew, Luke, and John each incorporate increasingly expansive traditions about Jesus appearing on Earth, before joining God in Heaven. These traditions about Jesus’ time on Earth before his ascent to Heaven continue to grow and expand, until Jesus is presented as spending an extensive period on Earth in slightly later second-century works such as The Epistle of the Apostles. In summary, therefore, Matthew, Luke and John are the first works to invent the two-stage resurrection, and this tradition becomes a central part of early Christian tradition – despite remaining discrepancies between the three Gospels on its particular nature (see also Luke 24.51, cf. Acts 1.2; Acts 1.3-9). As a result, the missing ending of Mark – which as hypothesized tells us that Jesus first made an appearance from Heaven – came to contradict the later two-stage resurrection. 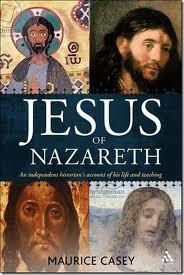 Not only does Jesus first appear in Jerusalem in these later traditions rather than in Galilee (Matt. 28.8-10; Luke 24.15, 26; John 20.14, 19, 26), but he appears immediately after the finding of his empty tomb, unlike in Mark where the disciples had to travel to Galilee before seeing him (cf. Luke 24.15; John 20.14). In light of later tradition, Mark’s original ending would have been seen as a dangerous misrepresentation of accepted doctrine. This contradiction between Mark’s heavenly appearance of Jesus and the earthly appearances in the other Gospels cuts to the core of the nascent Christian faith – because it concerned the resurrection of Jesus, the core tenet on which early Christian faith rested (cf. 1 Corinthians 15.14). Therefore, I further propose that the most likely fate of Mark’s ending, with its account of Jesus’ appearance in Galilee forecast in Mark 14.28 and 16.7, was that it was excised from the Gospel of Mark, as inconsistent with later authoritative tradition. A plausible scenario (among many possiblities) would be that Matthew himself expurgated the copy of Mark’s Gospel which he relied on to write his own Gospel, and that it was such an expurgated copy which became also the authoritative version reproduced by later copyists. In his own Gospel, Matthew transformed Mark’s visionary appearance into an appearance of the not-yet-fully-resurrected Jesus at Galilee. With a nod to N.T. Wright, we might call the second resurrection in Matthew, Luke, and John “resurrection-after-resurrection-after-death”. Moreover, it is only in Matthew, Luke, and John that Jesus emerges bodily from the empty tomb and walks around in Jerusalem. In the original ending of Mark, by contrast, while Jesus’ body is gone from his tomb, Jesus himself is nowhere to be seen on Earth, his body is presumed to have been transformed into its heavenly state, and Jesus eventually makes himself seen to his disciples in Galilee, in his new spiritual form. Jesus is bodily resurrected to the heavens (after transformation of his body into a spiritual body), without any earthly interlude. While it is admitted that the conclusion involves a risky reconstruction of a missing text, the risk is inherent to any analysis of the Gospel of Mark which is to take seriously a Gospel with a missing ending. What would be even more risky would be to deny that Mark has this clearly incomplete nature, by misreading Mark as though it were a self-contained unit like a brief modern poem, and then superimposing a New Critical-like “literary” analysis on Mark 16 instead of paying attention to its actual literary contours. In addition to the reconstructed visionary nature of Mark’s missing ending, there are several indications that Mark has constructed Mark 16.1-8 (the narrative of the women finding the empty tomb) from a vision report – a view which, incidentally, was already espoused by D.F. Strauss. The tradition of women seeing an empty tomb is best explained as something originally seen in a vision, and which symbolically conveyed Jesus’ ascension to Heaven. Therefore, the whole of the original form of Mark 16 (with its missing ending on a mountain in Galilee, not dissimilarly to the transfiguration) derives from vision reports. It is significant that women visionaries were a quite prominent feature among early Christians (e.g. Acts 2.17-18; 21.9; 1 Corinthians 11.5; cf. Luke 2.36-37). Several second-century sources evidence a cultural memory of Mary Magdalene’s identity as a visionary disciple of Jesus (e.g. Epiphanius, Pan 26.8.1-3; Pistis Sophia) – and Mary Magdalene is the only woman named as present at the empty tomb in all four Gospels. In Mark 16.1-8, we can find all of the major elements of a generic vision report are present, although incorporated secondarily into the genre of Mark’s Gospel. The vision occurs in a time of grief and lamentation, at the dawn of the day when hypnogogic visions are typically induced or produced. The narrative is filled with verbs of sight: ἀναβλέψασαι (having looked up; v. 4), θεωροῦσιν (they saw, v. 4), εἶδον (they saw, v. 5), ἴδε (look!, v. 6), ὄψεσθε (you will see, v. 7), typical of an account derived from a visionary’s vision report. Mark 16.1-8 describes the women as filled with feelings of astonishment and overwhelming fear, so much so that they become speechless – all frequent motifs of vision reports and frightening dreams. The women also have events explained to them by an angeles interpres (an interpreting angel), whose appearance is described in vague dreamlike terms, and who describes Jesus’ ascension (implicitly through the heavens). The angeles interpres features ubiquitously as a central figure of dream and vision reports (e.g. LAB 9.10; 2 Enoch 1.3-10; Josephus, Life 208-210; Matthew 1.20-25; 2.13-15, 19-23; Acts 16.9-10; 4 Ezra 3.1-5, 20; 5.21-6.13; 6.32-7.2; Ascension of Isaiah 7ff). Mark’s employment of a vision report is also consistent with his utlisation of vision reports elsewhere in his Gospel. Christopher Rowland detects Mark’s reliance on vision reports to compose earlier stories such as the baptism of Jesus, in which Jesus “sees” the heavens open; Jesus’ deprivation in the desert where he “sees” angels waiting on him; and the transfiguration, in which Jesus appears in heavenly white clothes alongside exalted dead people. Interestingly, when Luke summarises the experience of the women, he writes ὀπτασίαν ἀγγέλων ἑωρακέναι (“they had seen a supernatural vision of angels”). Luke interprets their experience using the term ὀπτασία, which is employed elsewhere in LXX Daniel and the New Testament to refer to mystical heavenly vision experiences. Therefore, the origin of the empty tomb tradition in the earliest Gospel is best explained as derived entirely from a woman’s account of her visionary experience. Both the story of the empty tomb and the accounts of post-resurrection appearances have their origins in vision reports by Jesus’ followers. In summary, there are good grounds to conclude, with Casey, that the two-stage resurrection of Jesus – from Grave to Earth and from Earth to Heaven – is a secondary development. Casey also argues, as a way to explain its missing ending, that Mark’s Gospel is incomplete, that is, that it is wholly in “draft” form. While the suggestion is definitely worthy of further research, I suggest, following the line of some of Casey’s other arguments, that it is more likely that the missing ending was deliberately removed. Mark’s original contention that Jesus only ever appeared from Heaven, in glory, became “unorthodox” in light of later authoritative teachings about Jesus’ two-stage resurrection (i.e. Jesus’ “resurrection-after-resurrection-after death”), and the suspicion must be that Mark’s original ending was later excised from his Gospel. This entry was posted in Book Reviews and tagged angeles interpres, D.F. Strauss, Galilee, Jesus of Nazareth, Mark, Mark 16.1-8, Mark's missing ending, Mary Magdalene, Maurice Casey, resurrection, resurrection-after-resurrection-after-death, tomb, two-stage resurrection, vision report, women visionaries. Bookmark the permalink. You gave three reasons why you think that verses 9-20 were added “much later,” instead of during the production-stage of the Gospel of Mark: (1) it includes elements from both Matthew and Luke, (2) it does not appear in the better, more reliable manuscripts, and (3) it is marked as a later tradition in some manuscripts. I don’t think the first idea withstands close scrutiny: the same events are being described, but there are no sustained verbal parallels to Mt or Lk. The second point must refer to just two Greek manuscripts, both from the 300’s, plus one Syriac copy and one Old Latin copy. But the patristic support for Mark 16:9-20 is much older than that, in Greek, Syriac, and Latin lines of evidence. As for the third point, I challenge its veracity. This looks like something that Bruce Metzger wrote that a lot of commentators seem to have repeated without verifying. Do you have any other reasons for rejecting Mark 16:9-20? It looks to me like Mark unintentionally stopped suddenly at 16:8 — amidst some emergency or other — and someone else finished the book by attaching a brief summary of Jesus’ post-resurrection appearances that had previously been a freestanding text. That accounts for the non-transition between v. 8 and v. 9, and for other internal features, such as the statement that the disciples did not believe Mary Magdalene (although one would naturally get the impression from Mt 28 that the disciples /did/ believe her after she reported that she had seen Jesus), and the statement that Jesus appeared to the eleven sometime later than the time when the two travelers reported (rather than at the same time, as one would deduce from Luke 24). Someone attempting to piece together a pastiche from Mt and Lk would simply not write verses 9-20.